Pochettino tells Levy what Spurs must do after completing new stadium move – is he right? Mauricio Pochettino has said Tottenham Hotspur “need to be ready for a new project” after moving into their new stadium. Spurs play the first game at their £1bn White Hart Lane-based arena on Wednesday night against Crystal Palace after months of delays. The Londoners suddenly find themselves embroiled in a battle for Champions League qualification despite sitting third in the Premier League for most of the campaign. Regardless of whether Tottenham finish in the top four or not, Pochettino believes the club must change how it operates following their big move. “Next season we need to build or be ready for a new project, a new chapter – two years, three years, four years – it depends on Daniel [Levy], who is going to decide,” the Spurs boss said in his press conference on Tuesday (via the London Evening Standard). Pochettino delivered a similar message at the end of last season when Tottenham sealed third place with a 4-3 victory over Leicester City on the final day. The Argentinian was expected to be given increased transfer funds last summer but ended up with no signings at all. 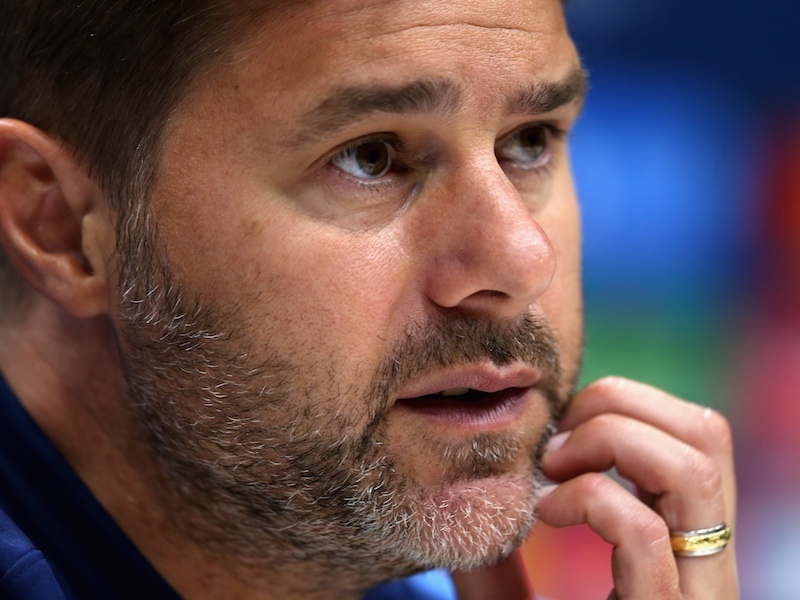 It’s clear Pochettino feels he needs new arrivals in order to challenge for silverware, and his comments put added pressure on Levy to provide funds in the comings months. It is clear Steve – that you have no idea about what has been happening at Tottenham. There was transfer cash available last summer and in January but there were no reasonable acquisitions available. Developing a team and playing as a team is a different approach than assembling a team of established individuals. They are two different approaches. Sports writers like yourself should really write about teams who follow your philosophy. You do not seem to be capable of writing about teams like Spurs without making negative comments, slurs and innuendos which are, to say the least, a stretch. 2018/19 was by far Spurs best season for personnel changes in the past many years. 2019/20 acquisitions will be more dependent upon who moves on or ages out that any shortfalls in the current team. If Poch (or Levy) could absolutely determine who would be staying and who would be leaving; Spurs would likely acquire 3 players – 2 of whom would be under 21. The defense is aging and replacements need to be sought to add depth but we have a year or two to do that. Brian, how can you say that “there were no reasonable acquisitions available” last summer?Maddison to Leicester,Brooks to Bournemouth,Rondon to Newcastle just a few to mention that immediately spring to mind that were not over priced and would have seriously strengthened the squad and for sure would have jumped at the possibility of joining us. The problem was Daniel Levy waisting time and trying throuout the summer to buy a £10 note for a fiver(Unsuccessful pursuit of Jack Grealish).Extremely bad and poor management if you ask me.